A US Navy SEAL was killed in a parachuting accident during the annual Fleet Week festival in New York Harbor. The SEAL, whose identity has not been released, was performing with a Navy SEAL skydiving team when his parachute failed to open and he plunged into the water. He was recovered by the Coast Guard from the Hudson River immediately after the accident, which occurred shortly after noon, and rushed to a New Jersey hospital, but was pronounced dead, Rear Admiral Jack Scorby announced to media at the hospital. The Navy says his parachute malfunctioned. Video shows what is reported to be a piece of the malfunctioning parachute floating to the ground. 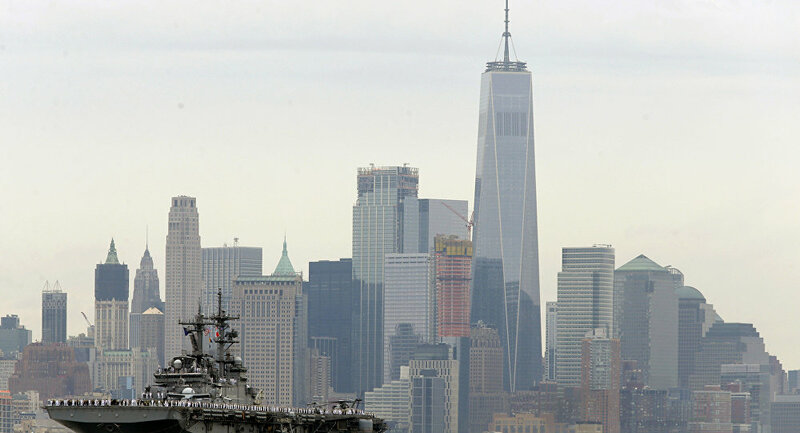 Fleet Week is an annual event celebrating the US Navy, Marines and Coast Guard in major US cities, and sees dozens of ships and thousands of spectators crowd waterways where it is held. The festivities in New York included a performance by the Leap Frogs, a US Navy skydiving team that the SEAL apparently belonged to. Bjoern Kils, 37, of Jersey City, described the accident for AM New York. He said he saw three Leap Frogs jump from a helicopter and perform aerial tricks before landing safely. "Almost the same time that they touched down in Liberty State Park, we heard a splash and turned around very quick. I saw the water splash, and apparently there was a fourth parachutist," said Kils. Kils also saw emergency responders pull a man out of the water and begin CPR. "He was just limp in the water," he said. "Our hearts and our prayers go out to his family and I ask for all of your prayers for the Navy SEAL community who lost a true patriot today," Scorby said at the news briefing on the accident. "The cause of the mishap is under investigation and his next of kin are being notified at this time."